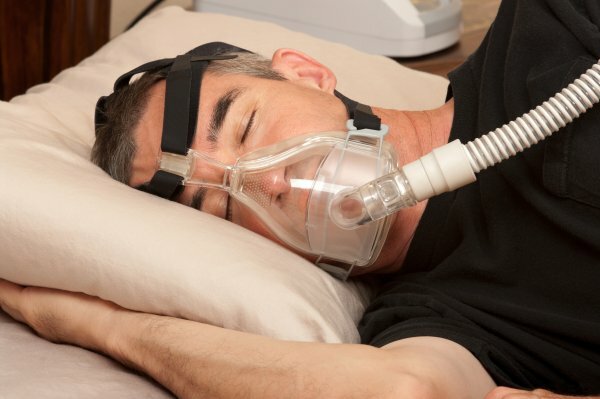 In our sleep clinic, we can provide you with a CPAP alternative to wear at night. Our solution can help you breathe freely so you wake up feeling refreshed and energized, rather than sluggish and tired. We know sleep apnea impacts millions of people. Unfortunately, many people do not realize this is the reason they live in a constant state of fatigue. When they find out, the typical solution is to use a CPAP machine. The problem is that a CPAP machine is large and bulky, makes noise, and can make it uncomfortable to sleep at night. It can also impact the quality of sleep your spouse gets while sleeping next to you. As a result, many people simply give up within the first couple of weeks and refuse to use it. If you are in this situation or know someone who is, we encourage you to visit our dental office to discuss a CPAP alternative. If you have obstructive sleep apnea, it is typically caused by the lower jaw falling backward at night and the tongue with it. When the tongue blocks the airway, it can make a person choke, snore, or gasp for breath while sleeping. As a result, not enough oxygen is absorbed into the bloodstream, and the body remains in a constant state of fatigue. Fortunately, since this type of sleep apnea is caused by an obstruction, removing that obstruction can help you breathe freely and get the oxygen you need. Our CPAP alternative is a small oral appliance worn at night. We make an impression of your mouth and take measurements so the oral appliance can be created in the lab. It will be designed to fit you snuggly and securely so you can sleep comfortably. This appliance looks like a retainer but is designed to keep your lower jaw and tongue in the forward position while you sleep. It is a simple concept that is incredibly effective. By simply preventing your jaw from falling backward, the level of oxygen you receive will go up. Being discreet. Since the oral appliance is small, you can keep it in your pocket and put it in your mouth after you have gone to bed. Being easy to use. There are no machines to hook up or turn on. You simply wear your night guard, and that’s it. Ability to travel. A CPAP machine is bulky and has to be its own carry-on. That is not the case with an oral appliance. All you need to do is put your oral appliance in a small case and toss it into your bag. It is that simple. Being comfortable. Our CPAP alternative does not come with tubes, so there is nothing protruding from your mouth that could interrupt your sleep or cause you discomfort. To learn more about our innovative and effective solution, call and schedule an examination.